Photo by Andy Bronson / The Herald. Read the Herald Business Journal feature spotlighting Kathy Coffey and other women leaders throughout Snohomish County. 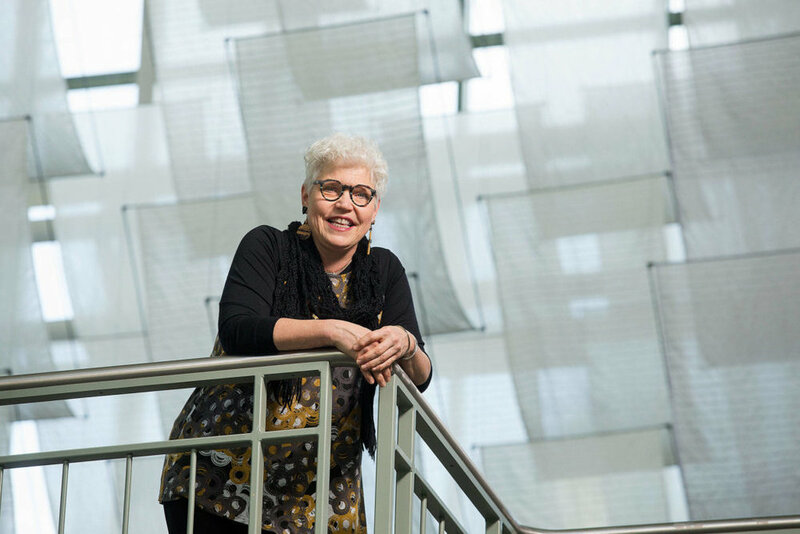 Kathy Coffey, Executive Director of Leadership Snohomish County (LSC), is known for her enthusiasm, generosity and authenticity. Just as she did with her TEDx talk entitled, “Connect and Lead, How We Create Community,” Kathy jumps in with both feet. She champions LSC’s mission wherever she goes, seeking people and organizations to engage in her quest to strengthen and diversify community leadership. As a local leader who walks the talk, Kathy serves as a member of Lynnwood’s Human Services Commission, is a South Everett–Mukilteo Rotarian and sits on the board of directors for the YMCA of Snohomish County. Prior to joining LSC in 2014, Kathy spent 16 years in higher education. She was Assistant Director of Edmonds Community College Foundation and Development Relations Coordinator at Bastyr University. She was also co-owner of Pivot Edmonds, a community magazine, online marketplace and community engagement site. Kathy is the proud mom of two sons, Ethan and Parker, who bring her incomparable joy. For more about Kathy, check out this fun interview by Sno-Isle Libraries.